Many of our WPtouch Pro customers are interested in generating revenue from their mobile sites. Even as far back as WPtouch Pro 2.0, we’ve included the ability to have one advertising unit on the page in a user-specified location. As more and more advertising services have adopted mobile-friendly advertising formats, we’ve been repeatedly asked lately to include additional options, such as the ability to display multiple different advertising units on each mobile page. 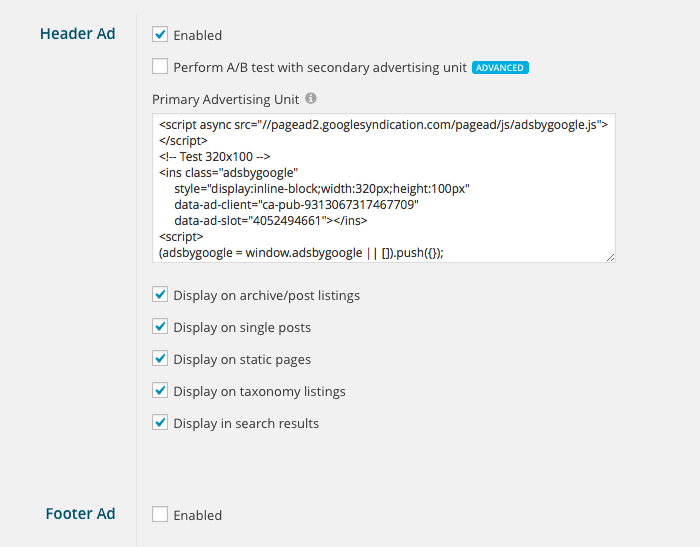 As such, we are pleased to announce the release of a new WPtouch Pro extension: Multi-Ads. Multi-Ads includes the ability to have up to four advertising units on each page, each independently targeted to a different sub-set of content pages. For example, advertisement units near the header could be configured to only be included on archive pages, which advertisements near the post content could be configured to show on every page. These options are fully configurable by the site administrator for each advertising unit. 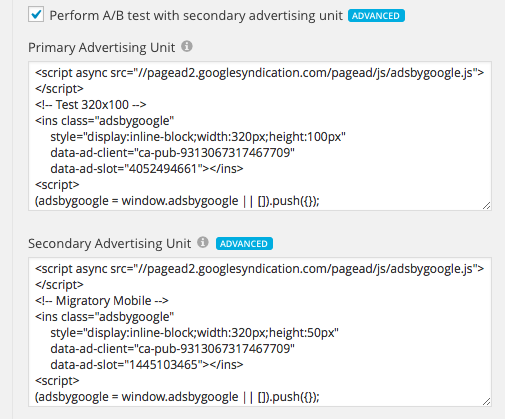 Each advertising unit in Multi-Ads is service-agnostic – use whichever service or code you want by simply adding your adverting JS or HTML code for each unit. In addition, we’ve included the ability to A/B test for each advertising location to help our customers maximize their site revenue. Using this feature, a website owner could specify two different advertising units for each location to determine which unit produces the most revenue. We expect this feature will be used immediately to help our WPtouch Pro customers produce additional advertising revenue from their sites. Multi-Ads can be installed starting today from the Extension Browser within WPtouch Pro by all Small Business, Agency, and Enterprise customers.